It’s refreshing. After a long tiring week, it’s good to come here and having a piece of mind. It’s natural environment make you feeling comfortable and satisfied. This is a must when visiting KL. There is something for everyone but make sure you keep your bearings. Very clean and tidy, no rubbish. 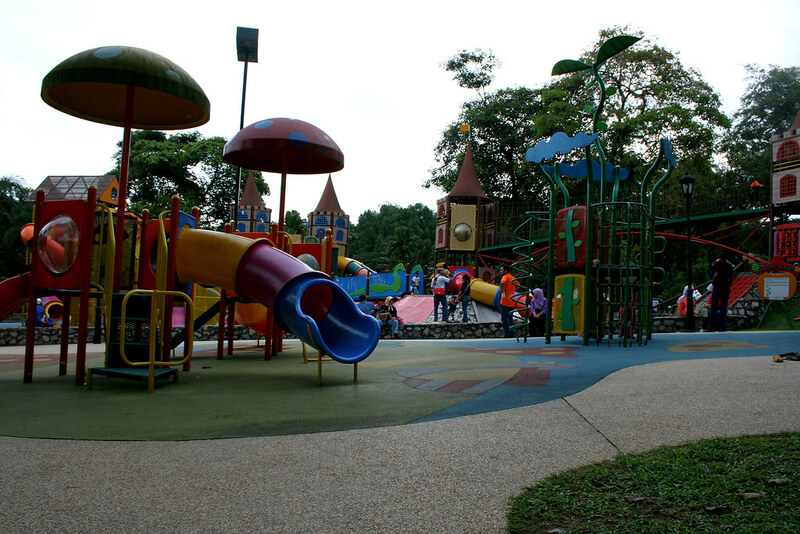 The Taman Tasik Perdana is composed of various sections – Taman Orkid, Taman Burung, Taman Bunga Raya, Deer Park, Mouse Deer Park and close to the Tunku Abdul Rahman Memorial, Planetarium Negara and Islamic Art Museum. Its a hill covered with trees and beside a small lake who would realize that beside the busy streets of KL is a place which one could take a rest, relax, leisurely hike and breathe fresh air and just walking distance from Dataran Merdeka , Pasar Seni, Masjid Negara and Petaling Street. I guess the place requires additional signage. In fact three of us got somewhat lost but it was quite an experience !!! There is so much to explore at Lake Garden Park. Lake Gardens Park or Taman Tasik Perdana for the locals is simply a place to be if you are looking for “Green” , the lake is so beautiful and walking along the pathway is simply breathtaking! Surprisingly, the Lake Gardens don’t get as many tourists as I would have thought… we have visited this area for more than 14 years, and it has remained tranquil and sweet… we used to take our Golden retriever Peaches for walks, and never did we come across anyone objecting. 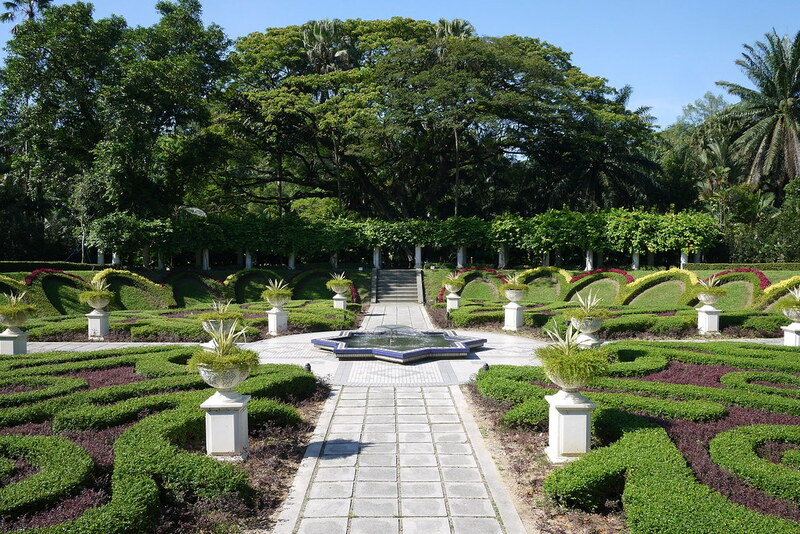 The Lake Gardens includes the Islamic Arts Museum, the Bird Park, the Orchids Park, the Butterfly Park and some more… for us, its one of the main things that make Kuala Lumpur such a lovely place to live and visit. Enjoyed a high tea at the Lake Gardens & I felt like a princess. (Royalty have dined there) The food was divine & would highly recommend it. I especially loved the cucumber sandwiches. The surroundings & the interior were stunning. My Mum & children took me there for a surprise birthday & we were all very impressed. Bit of a drive but lots to see on the way. The Lake Gardens is a beautiful vast piece of greenery. It’s probably one of the few pieces of green lands left in this modern city of Kuala Lumpur. If you were looking for an escape to the city’s hectic lifestyle, then Lake Gardens is the ideal place for relax and charging up your energy. The Lake Gardens is also known as Taman Tasik Perdana in Malay and it is situated at Jalan Perdana on the western edge of Kuala Lumpur. The Lake Gardens was originally constructed in the 19th century for the governing British elite. Today the Lake Garden is the capital’s biggest and most popular park, with a large lake at its center where boats can be hired. It’s a place ideal for outdoor activities such as jogging and cycling as there are plenty of walking and cycling trails crisscrossing the park. 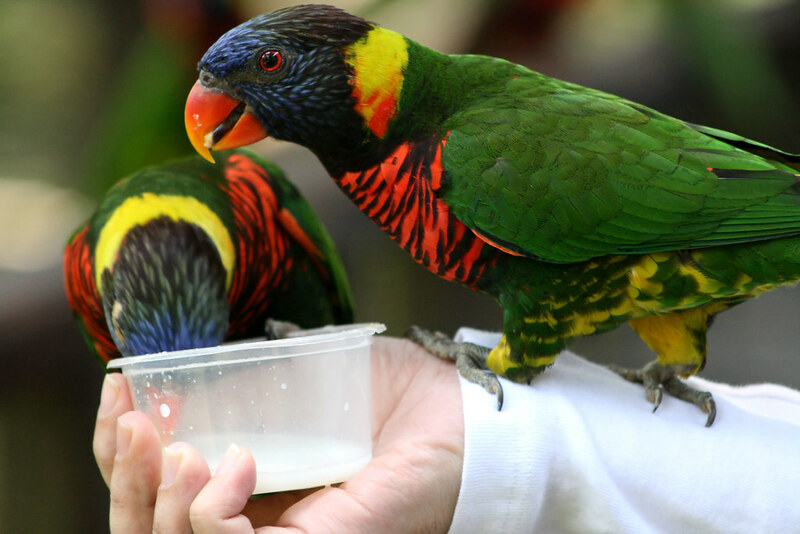 Within the gardens are a number of other attractions, the highlight of which is the Bird Park. 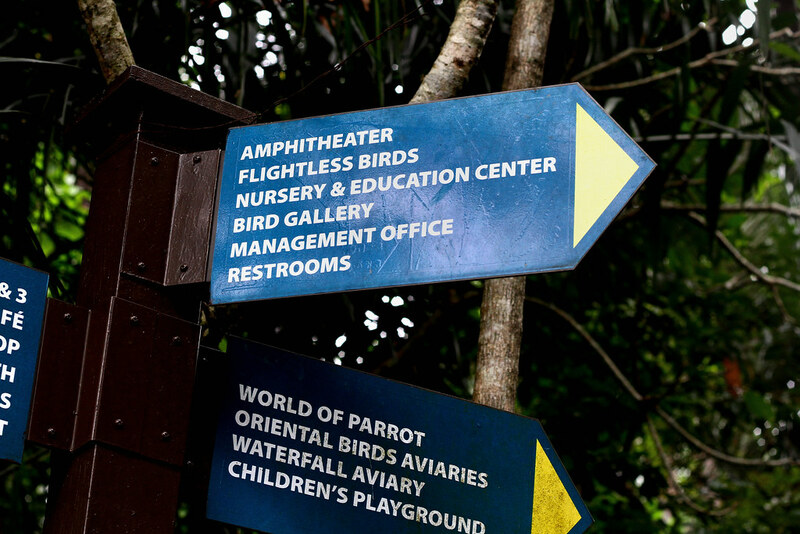 Said to be the world’s largest walk-in free flight aviary, the park houses around 3,000 tropical birds including flamingos, hornbills and parrots. There is also a Butterfly Park which is home to over 6,000 butterflies of at least 120 different species. There is also an Orchid Garden which showcases over 800 species of Malay orchids. Some of the orchids are for sale during the weekend. Therefore, if you are an Orchid enthusiasts, the Orchid Garden is the place to go to hunt for your treasures. On the southern edge of the Lake Gardens is the National Planetarium, which stages various shows and screens IMAX movies. If you are a big fan of IMAX movies or if you haven’t seen an IMAX movie before, don’t miss this opportunity of catching one. There is also a 50-ft high bronze National Monument which commemorates the defeat of the Communist insurgency at the northern end of Lake Gardens. It was created in 1966 by Felix de Weldon, who was best known for the Iwo Jima monument in Washington, D.C. The Lake Gardens also houses a few colonial monuments presiding over the western boundary. One of most famous monuments is the Carcosa Seri Negara. There are a couple of smaller monuments around the park which serves as buildings for the police, civil service, banking and former political leaders. The National Planetarium is the national planetarium of Malaysia. 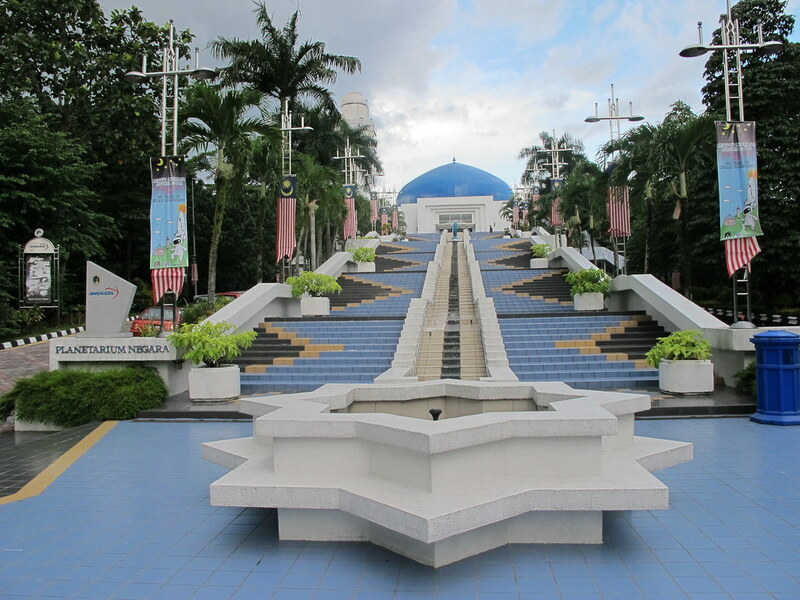 It is a blue-domed structure that is situated on top of a hill at Lake Gardens at Jalan Perdana, Kuala Lumpur. It is about 120,000 square feet (11,000 m2) in area. Golden Triangle of Kuala Lumpur – The Golden Triangle is a modern and stylish district with 5-star premier hotels, including the Mandarin Oriental and shopping malls such as Pavilion KL, Sungai Wang Plaza and Berjaya Time Squares. Putrajaya – Located south of Kuala Lumpur, Putrajaya has been gaining momentum as the new tourist attractions due to its well-developed, organized and most livable city in the state of Selangor. For a list of attractions on Putrajaya, please follow the link here: Putrajaya Tourism.